Wireless Charging or Inductive Charging Technology has been synonymous being commonly used technology for mobile devices, home equipments and car accessories. However, Wireless Charging and Inductive Charging are not technically the same. Because resonant inductive coupling is also another way of Wireless Charging. Most importantly, there can be more technology emerging in future. 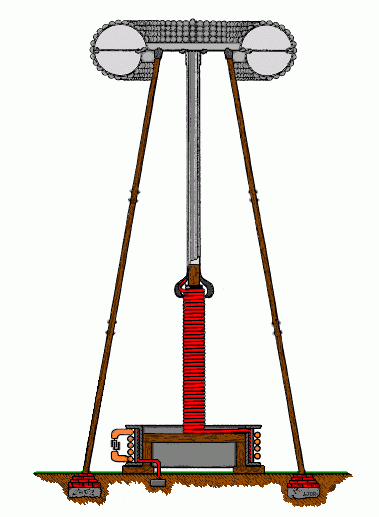 The basic method that is use now was actually the form described by Nikola Tesla (1856 -1943), the name which is popular for the named SI unit – Tesla. Wireless Charging is the technology to transfer wireless electricity through electromagnetic waves waves that reach the receiving machines, making the device’s battery charged. In the market there are usually bases or decks upon which the devices are kept, thus creating an electrical charge. This idea was first developed by a company called HaloIPT with a concept called Inductive Power Transfer (Inductive Power Transfer – IPT). The method used in 2013 has not much difference except packaging. The inductive energy transfer or is delivered on the platform which transmit the electrical power through magnetic resonance. This means that the device only has to be close to the pad to recharge your device. The power supply energizes with induction one coil in the range of 5-125 degrees connected to an electric source. The coil may need compensation capacitors in series or in parallel to reduce the voltage and currents in the supply circuit. The impact on the environment is minimal as simply charging pads are needed and basic is electromagnetic field. Thus it can be installed anywhere. Furthermore, the effect of the magnetic resonance or IPT is similar to that of an electric toothbrush. To protect against various factors, the system can not be removed without a special tool. Furthermore, as the system is simple and consists of moving parts or contacts, minimal wear and tear and longer durability is warranted. Another advantage of this technology is that it allows the power flow to be reversed. Electromagnetic Recharge or simple inductive charging – This type of uses inductive coils uses an electromagnetic field to transfer energy is required for a station which sends power to the battery of a device is charging such a short distance and requires contact with the devices. Advantages is that, there is no risk of electric shock, the person who has direct contact with the mains supply, runs some risk. It is safe to take precaution through. Disadvantages are many like a large amount of energy is lost as heat as compared to a wired charging system. 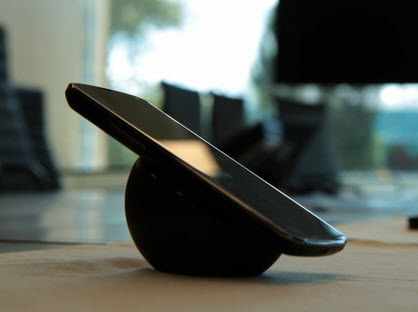 This particular type of wireless charging can be done only within at a distance of 3-5 meter. There are non specific advantages and disadvantages. Apart from the Electric vehicles, which was the basic reason behind usage of these group of Wireless Charging science, recently the third party manufactured Wireless Charging systems or supplied by original manufacturers for mobile computing devices and smarphones are of high demand in consumer market. As it is interesting to the user and basically it is easy to manufacture these kind of Wireless Electric Charging Hubs. There is a standard name Qi for compatibility. Mainframe Computers are very complex and extensive computer system that goes far beyond the capabilities of a personal computer and of a typical server too. Cite this article as: Abhishek Ghosh, "Wireless Charging or Inductive Charging Technology," in The Customize Windows, February 8, 2013, April 21, 2019, https://thecustomizewindows.com/2013/02/wireless-charging-or-inductive-charging-technology/.